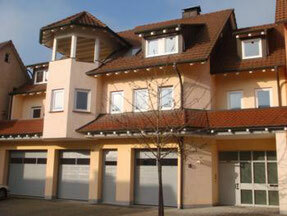 Welcome to Hotel Schinderhannes - schinderhannes-steisslingens Webseite! 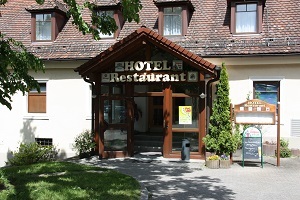 The ideal starting point for wonderful tours around the lake or the delightful volcanic landscape of the Hegau.Our hotel is the ideal base for both: holiday guests as well as for business customers. Welcome to our new website. Here you can find the latest news, information and announcements of upcoming events. You will find information about the hotel, the rooms and of course our restaurant with many regional specialties and our famous pancake menus. Check out our new menu. We look forward to your visit. 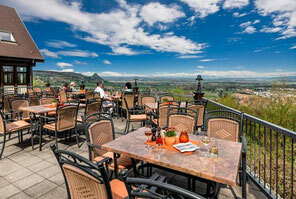 We are open daily from 4.00 p.m. During the weekend from 11.00 a.m.
reservation inquiry, reservation for lunch or dinner. If you have further wishes or questions, please do not hesitate to contact us. Only 10 minutes away: the famous Hohentwiel: a perfect starting point for all excursions in many diffrent directions - Hegau, Lake Constance and Switzerland. 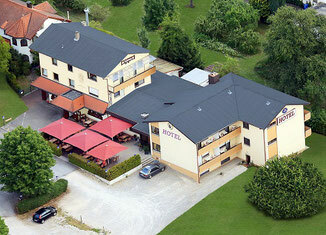 Please visit our sisterhotel Hotel Hohentwiel, situated just below the largest German castle ruin.